Overnight gold markets stabilized and bounced back a tad as some bargain hunters emerged in the $1215-$1220 range and halted further declines in the metal. The trade is seen awaiting the release of the retails sales and consumer confidence numbers later this morning. One thing players did not have to wait for was Chinese inflation figures. They showed a stronger-than-anticipated gain of 3.1% in May, once again raising apprehensions that the country is overheating even before summer officially begins. Higher than welcome inflation rates in China raise the spectre of interest rate hikes and/or of the yuan being revalued in order to keep things from boiling over. It may possibly be late in that game however, as the world’s third largest economy heads for –or has reached– the point where surplus labour disappears and pushes wages and demand upward. That, in turn, raises the possibility that places such as Vietnam could see a rise in manufacturing activity that then might leave China on cost issues. The euro was treading water near one-week highs against the greenback earlier this morning as some of the concern that the regional debt problem will send the world economy into "W" land dissipated. One who might disagree (and he does) with that take, is George Soros. He declared today at a conference in Vienna that we have just "entered Act II of the drama." What kind of news would give rise to headlines such as "Americans! Hide Your Gold in Canada!" these days? Misinformed, and misinterpreted ones, to be sure. Well, all we can say is that Mineweb tried its best to keep from jumping into sci-fi land. Fright-inducing forums on the other hand, jumped all over this one and ran as far as possible with it. So, what happened? Mr. John Levin, he of HSBC, was quoted to have said at London’s FT silver conference that "some of the U.S.’s top asset managers controlling massive amounts of capital asked if HSBC had the capacity in its vaults to store major gold purchases." "On being told that the bank’s U.S. vaults had sufficient space available he [Mr. Levin] was told that they [said money managers, who must have watched a bit too much of Glenn Beck lately] did not want their gold stored in the U.S.A. but preferably in Europe because they feared that at some stage the U.S. Administration might follow the path set by Franklin D. Roosevelt in 1933 and confiscate all U.S. gold holdings as part of the country’s strategy in dealing with the nation’s economic problems." We’ve said it once, we will say it again. Short of an excuse to sell you some overpriced semi-numismatic coins (which, BTW, would ALSO be recalled in a dire situation — never mind the 1920’s) there is no reason to mention such nonsense. Capital flow controls-if that is what this is all about- are far easier to carry out using your (very well-known to the authorities) bank accounts, brokerage accounts, and such. 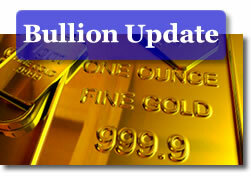 No need to resort to the measly stash of bullion being held by Americans. PS — We note with great sadness the passing of one of the pillars of the US precious metals’ retail industry. Veteran precious metals expert, and kind-to-the-core friend Glen Kirsch, passed away last weekend. His excellent team at Asset Strategies International, as well as all of us who knew him, will miss his presence. Sorely. 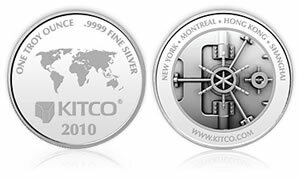 Visit sister site of CoinNews, SilverCoinsToday.com, to read the press annoucement regarging the new 2010 Kitco Silver Round.